Over 285,000 websites and billions of pageviews a month. Discover how customers like you found success by leaving traditional hosting behind. 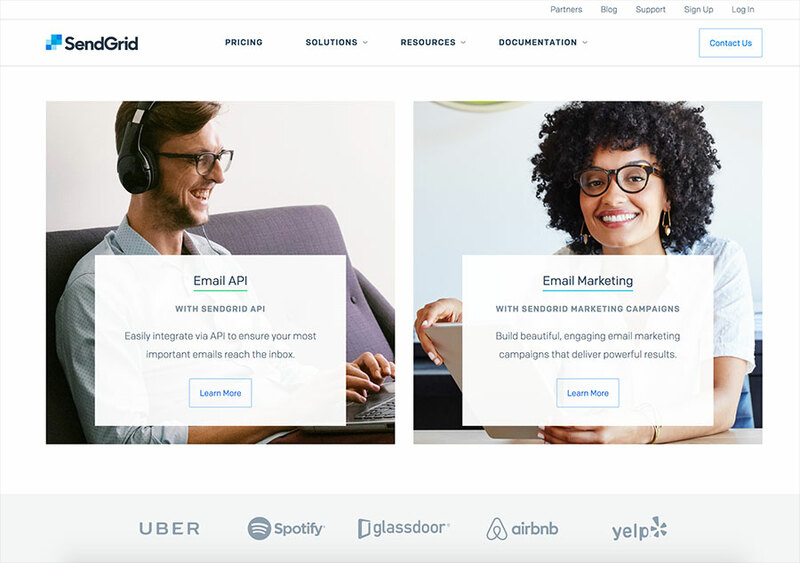 Founded in 2009, SendGrid is a cloud-based email service responsible for sending billions of emails for some of the best and brightest companies in the world. University launches over 2,000 Drupal sites without traditional hosting. Remarketing startup cuts dev cycle in half with an agile Drupal site on Pantheon. Media outlet launches new site to 100 million pageviews in the first 24 hours. Tracking 100,000 volunteer hours a month on a scalable website platform. Athletic retailer handles massive traffic spikes in peak season with ease. Canada’s largest games sees mobile hits soar after migrating to Pantheon. VC firm overhauls its content strategy and leaves DevOps behind. University uses Drupal distributions to manage multiple sites and stop using virtual machines. Local news site is running at 50 million page views & 20 million uniques a month at 99.969% uptime. Renowned nonprofit standardizes their website infrastructure so they can focus on their cause. Managing $1 trillion in orders annually, but no need to manage website infrastructure. HRW trusts Pantheon to run their site and scale smoothly for frequent traffic spikes. Kyriba optimized workflow and performance on Pantheon. Going beyond WordPress hosting, Pantheon helped MMM double traffic by removing servers. Looking to hire an agency? Whether it’s time for a redesign or you need maintenance or support for your site, Pantheon’s network of over 2000 partner agencies can help. Provide us a few details about your project and we’ll connect you with one of our trusted agencies until you find the perfect match!